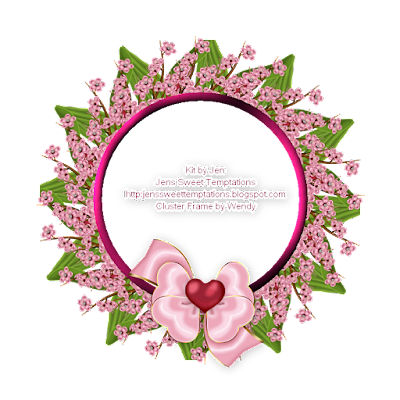 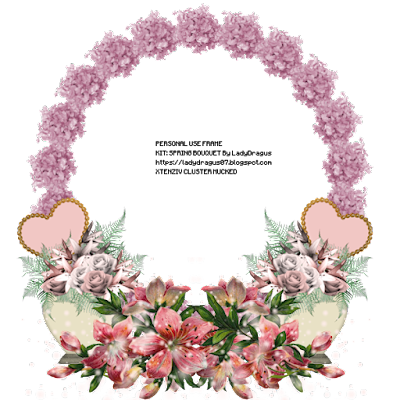 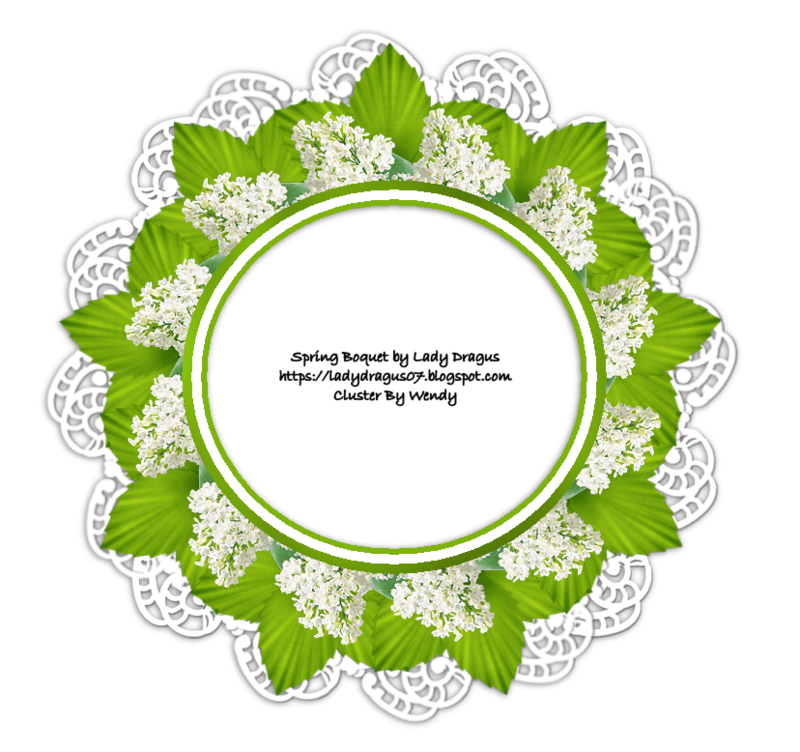 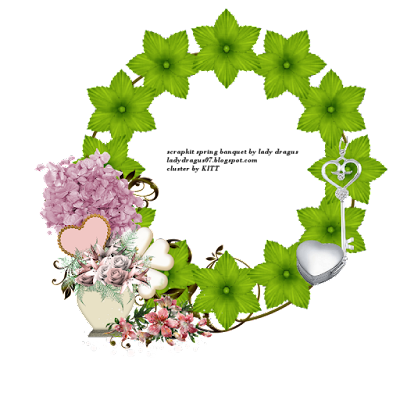 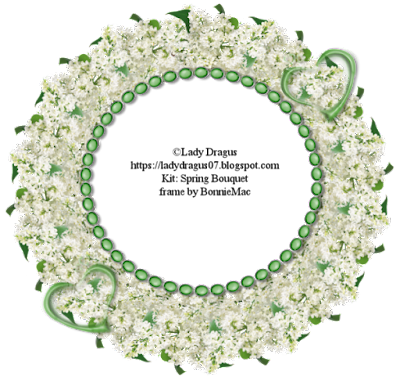 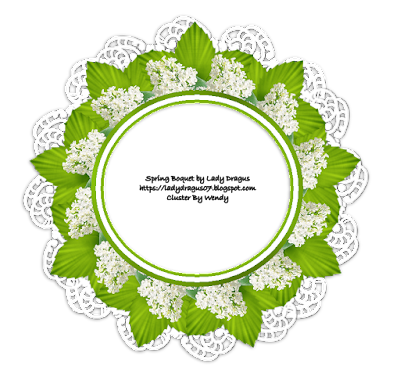 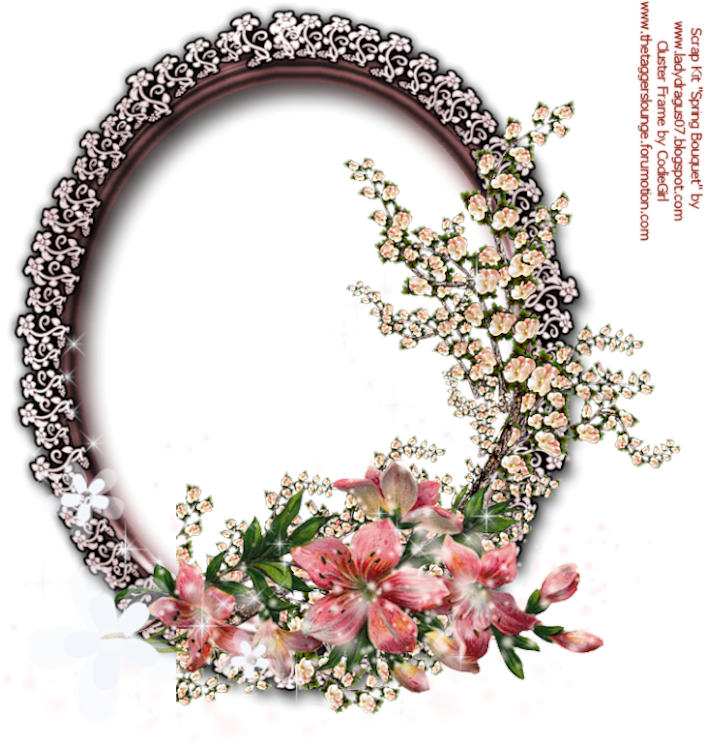 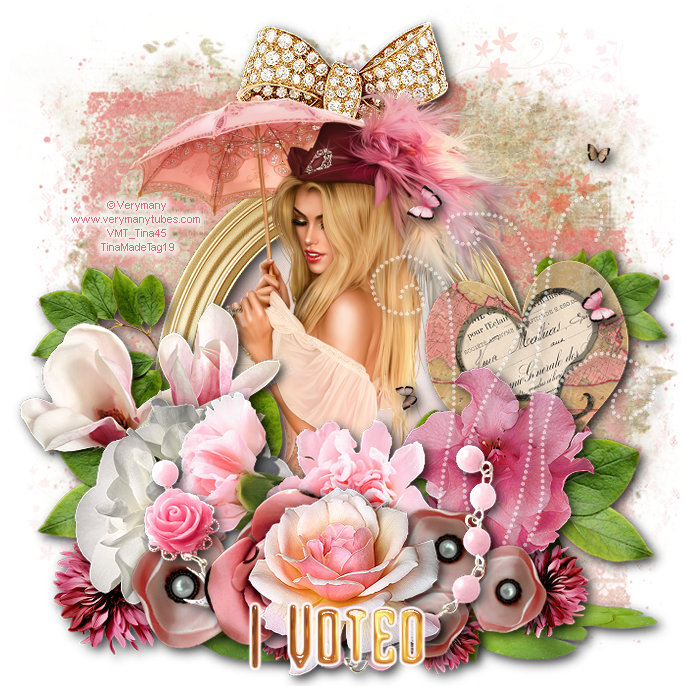 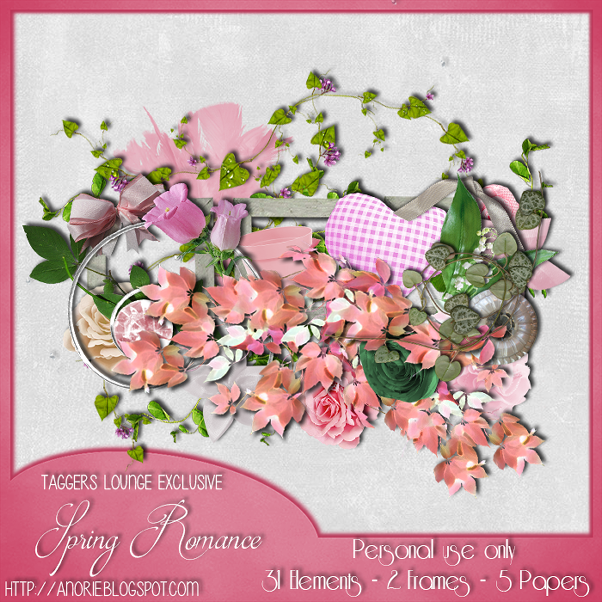 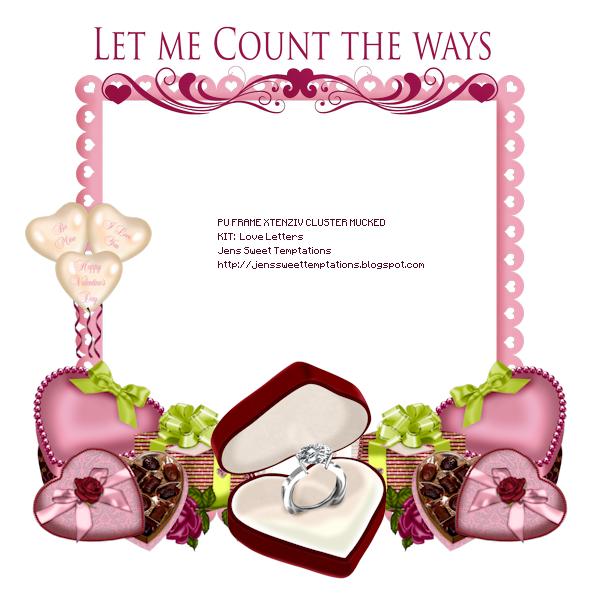 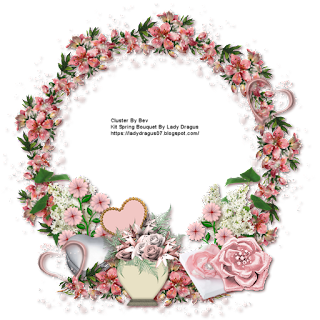 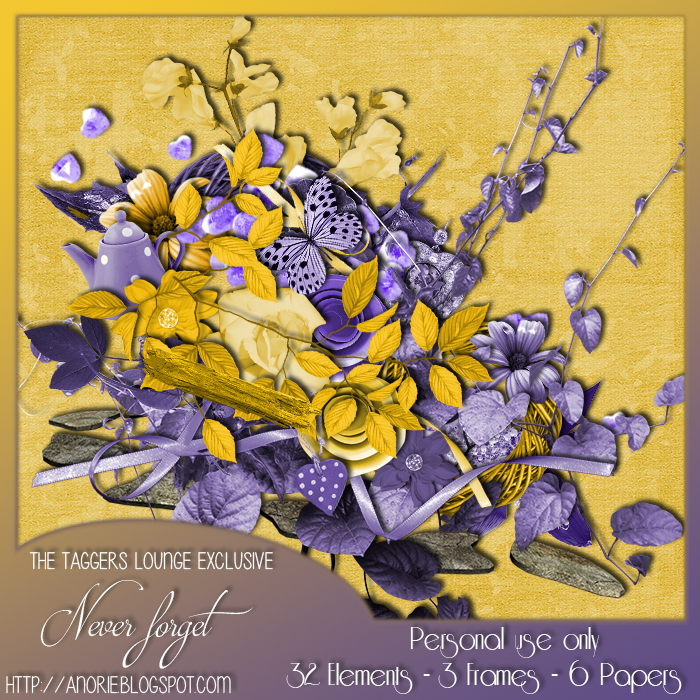 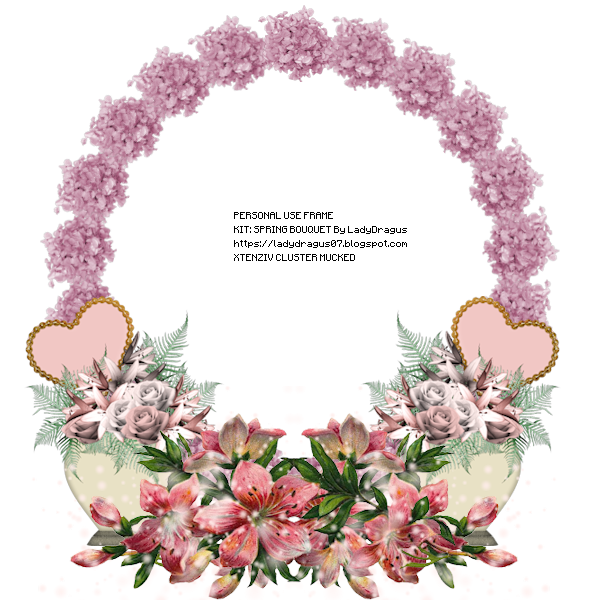 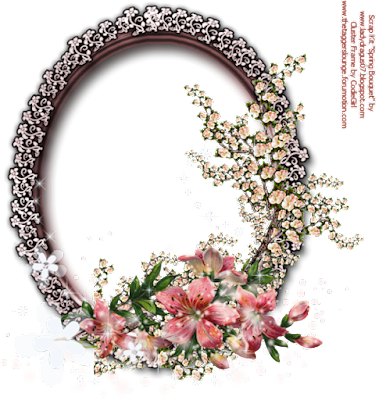 This week we played with kit by LadyDragus called "Spring Bouquet" for our Design A Frame challenge. You can get it from her blog HERE. 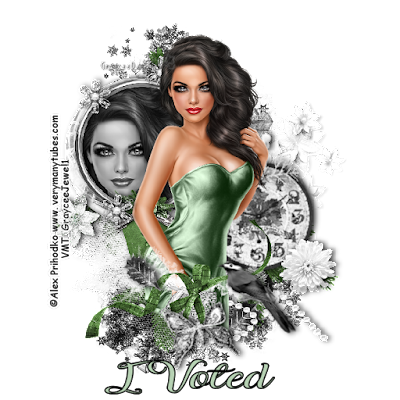 Thank you for allowing us to work with your designs! 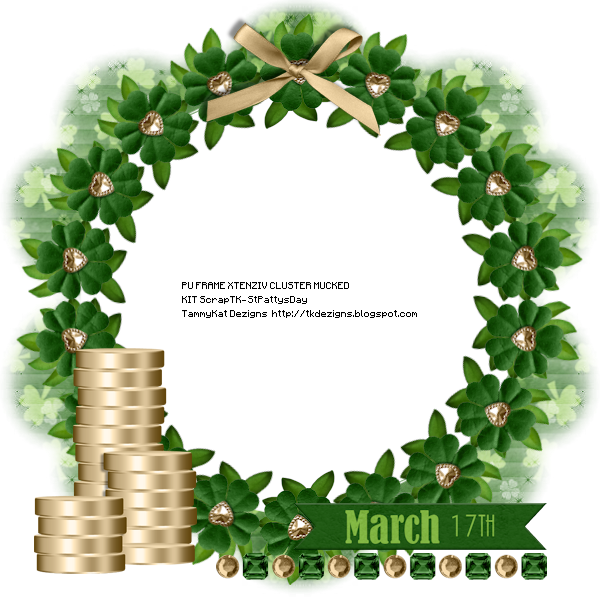 Thank you to our members for participating in the challenge! 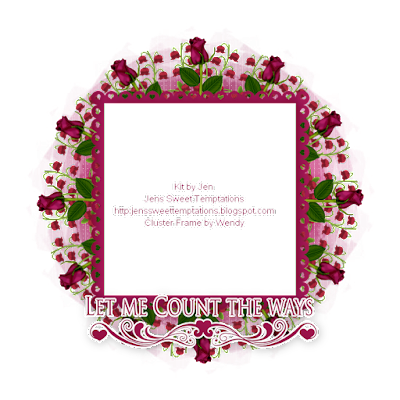 Right click to save the clusters. 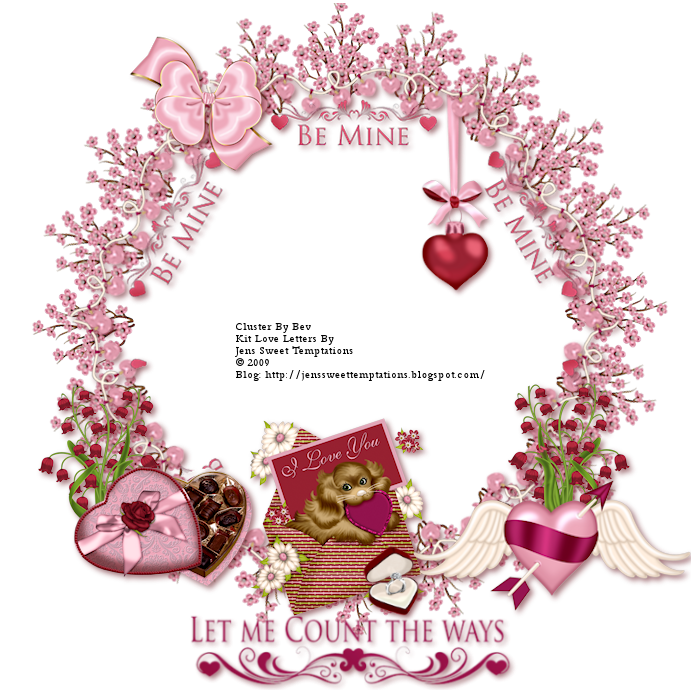 You are welcome to use our clusters but please direct download to our blog. 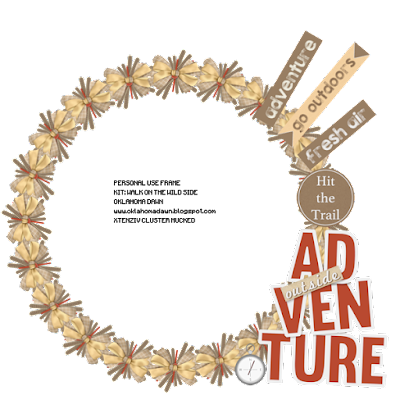 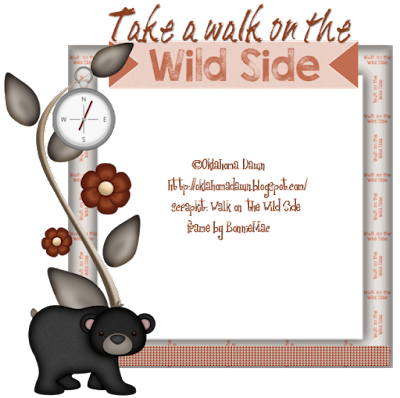 For our Design A Frame challenge this week, we played with a kit called, "Walk on the Wild Side" from OklahomaDawn! 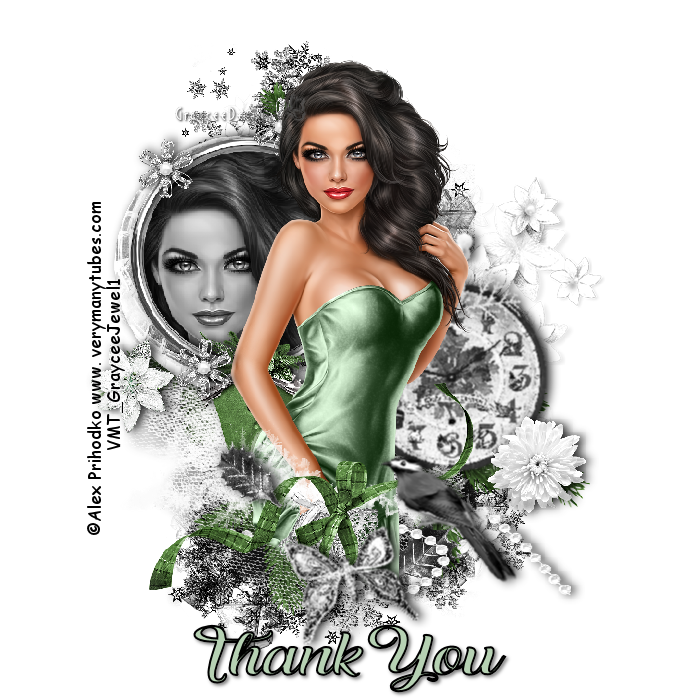 TY for allowing us to work with your designs! TY to our members for participating in the challenge! 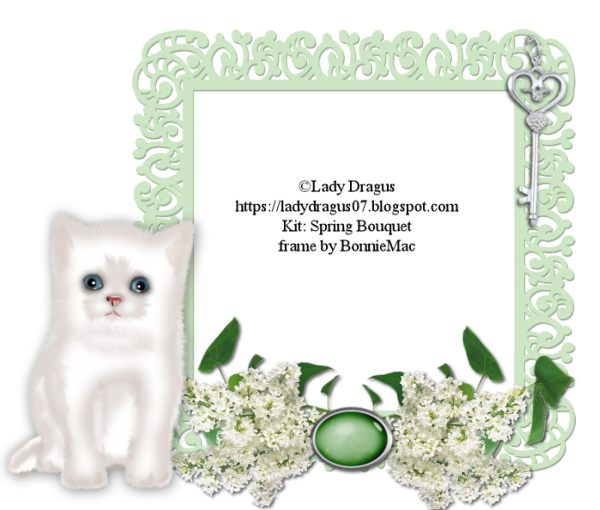 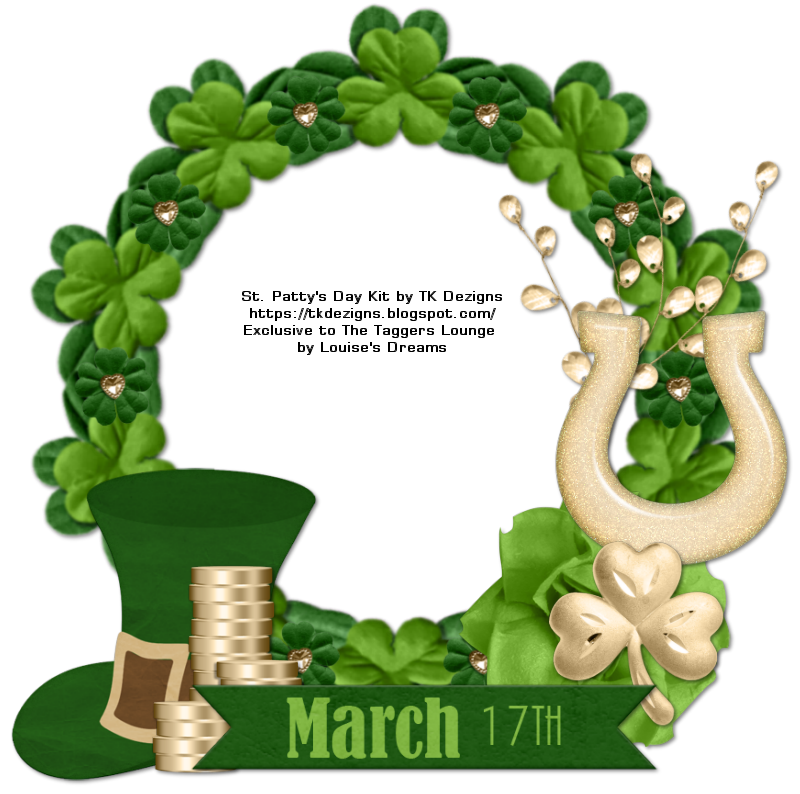 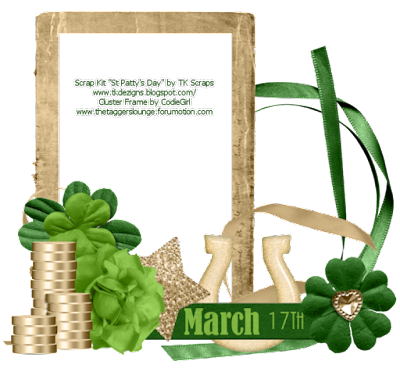 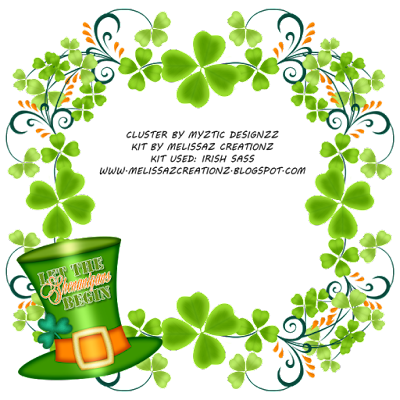 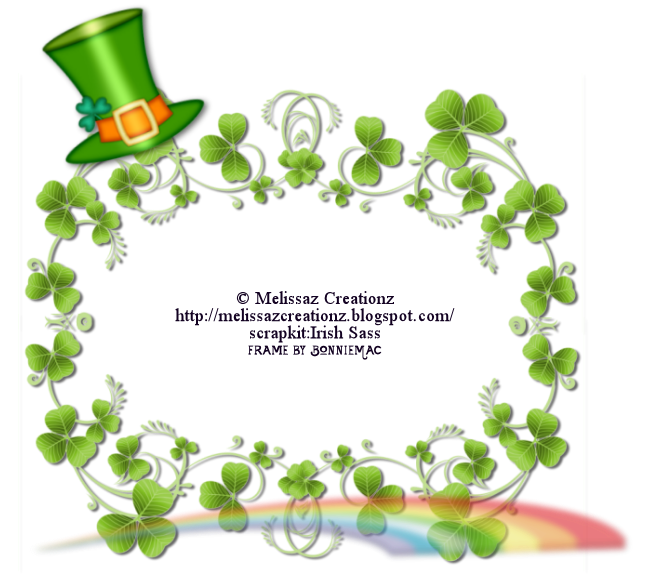 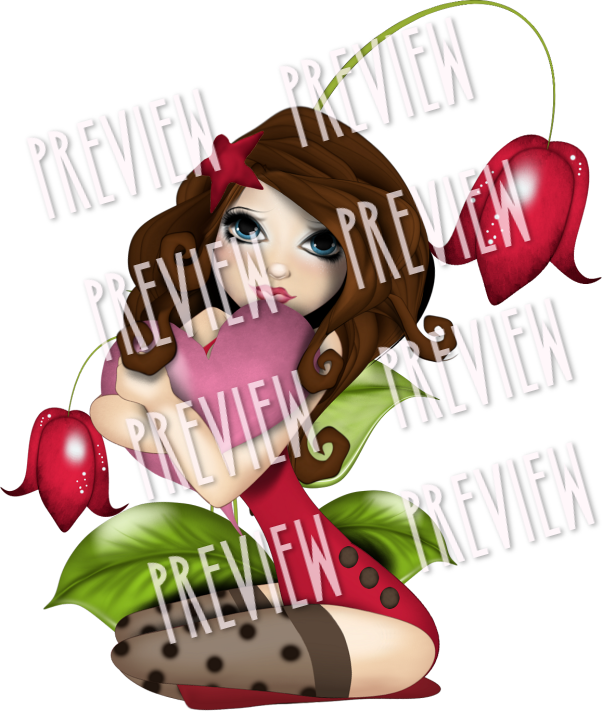 For our Design A Frame challenge this week, we played with a kit called, "Irish Lass" from Melissaz Creationz. 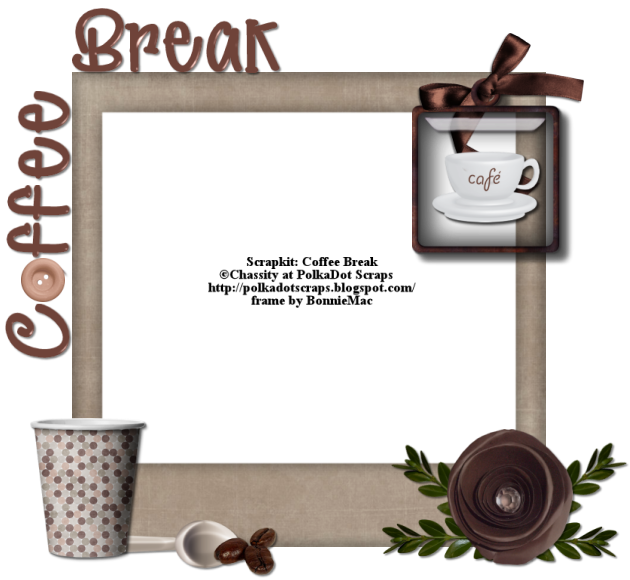 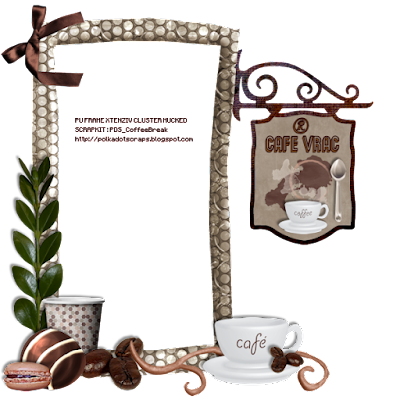 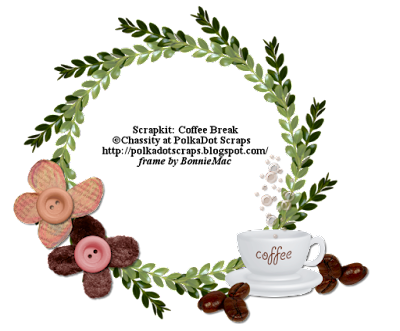 This week for our Design A Frame challenge we played with a kit from PolkaDot Scraps called "Coffee Break." 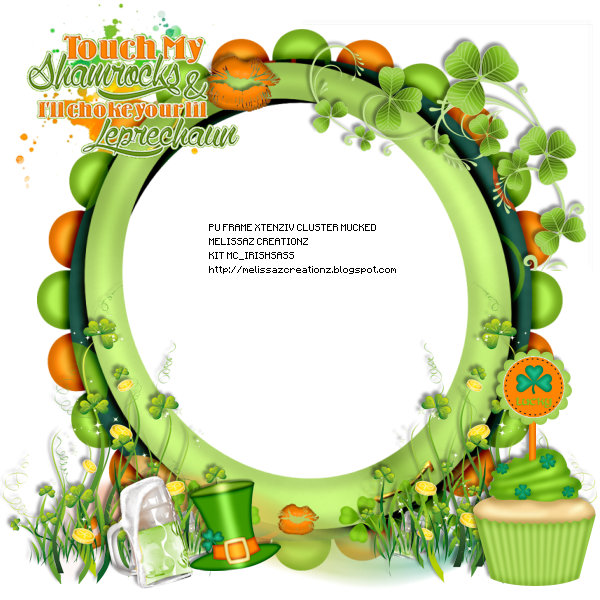 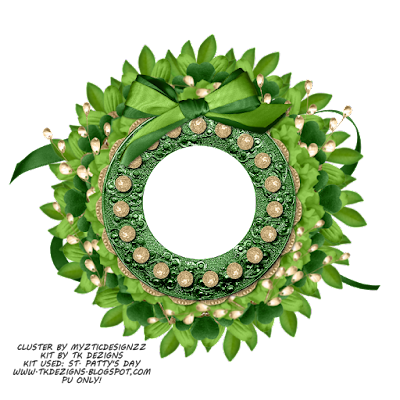 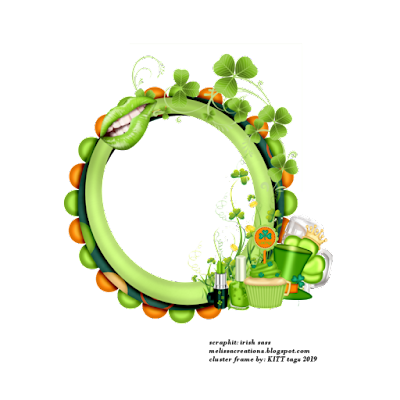 This week we played with kit by TK Dezigns called "St. Patty's Day" for our Design A Frame challenge. 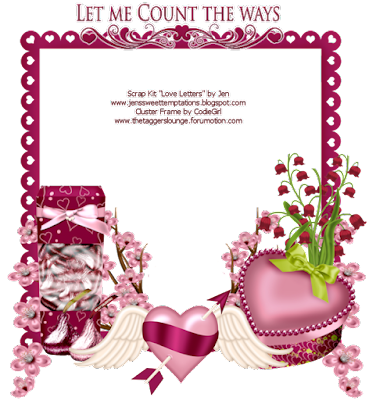 This week for our Design A Frame challenge we played with a kit from our Jen and her beautiful kit "Love Letters." Weekend Special Jan 4 - Jan 6: Extras! We held a weekend special on January 4 - 6 and the theme was to make extras, so here they are! Feel free to snag - just right click and save! Thank you members for participating in this challenge! These are tubes that can only be found at The Taggers Lounge! 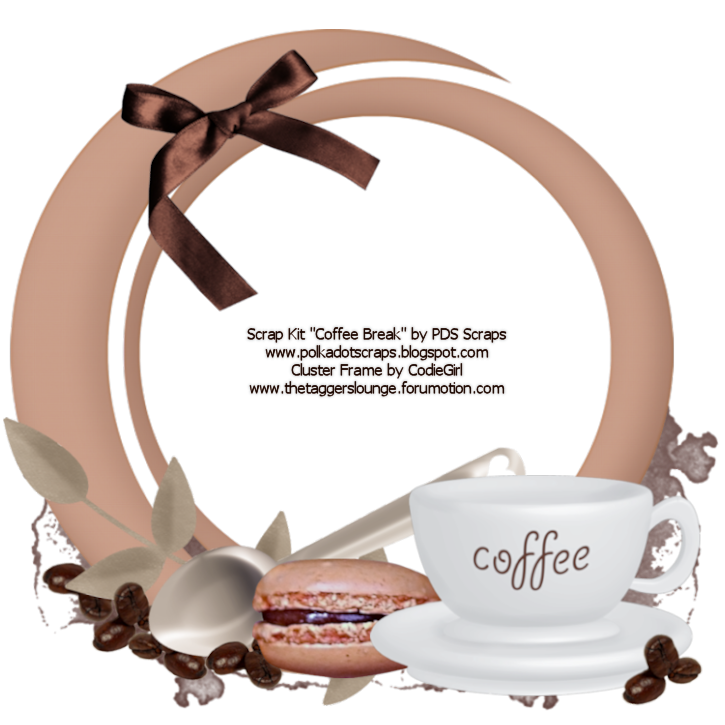 Come be a member and earn the Lounge Loot to purchase these items. You MUST be a member to use and gain a TTL license number. 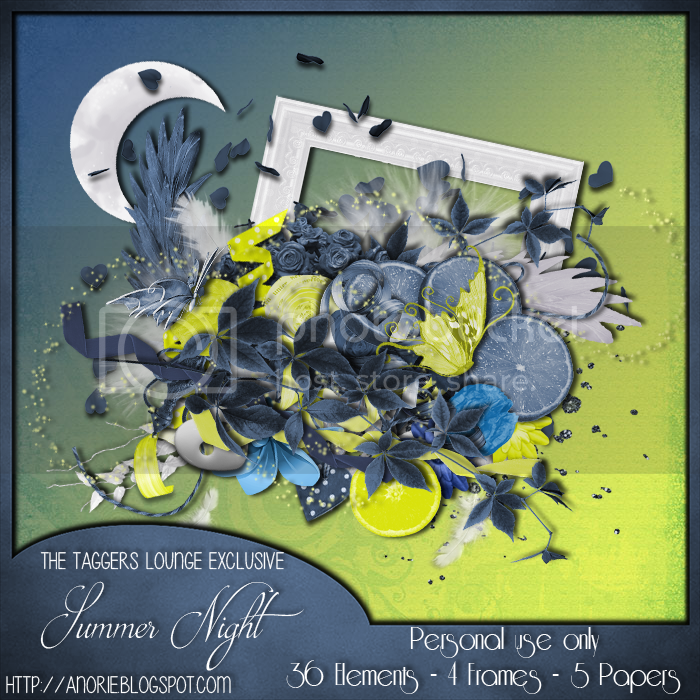 These are scraps that can only be found at The Taggers Lounge! 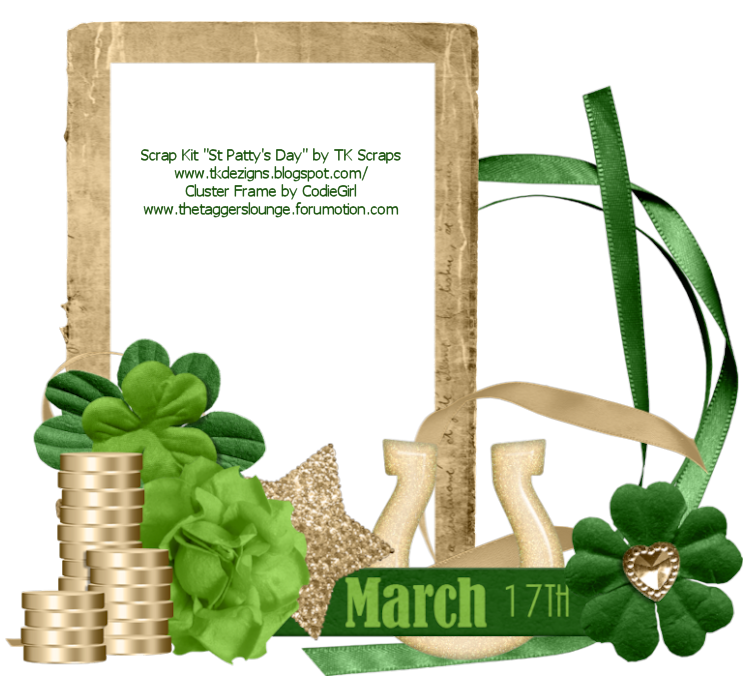 Come be a member and earn the Lounge Loot to purchase these items. 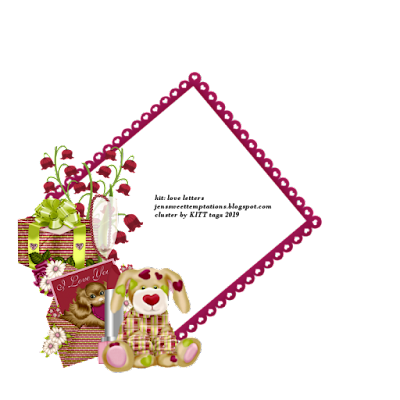 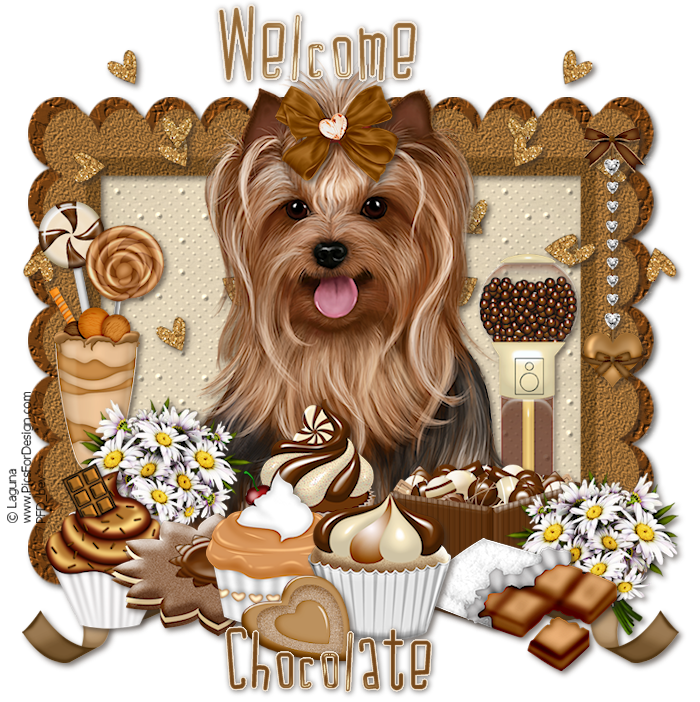 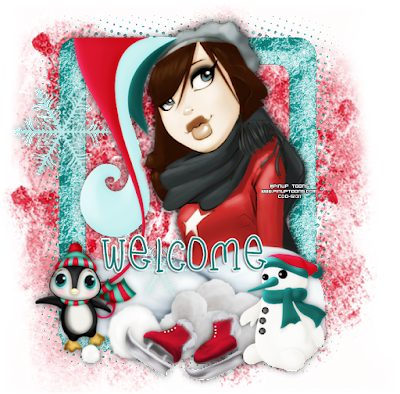 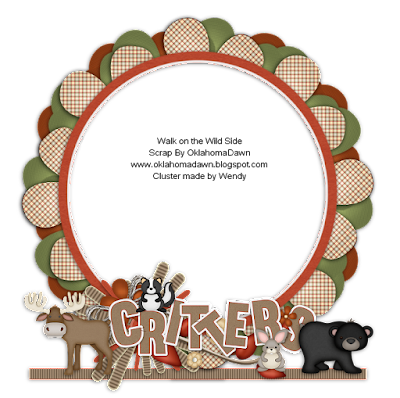 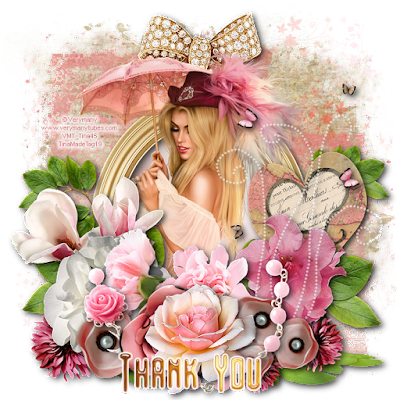 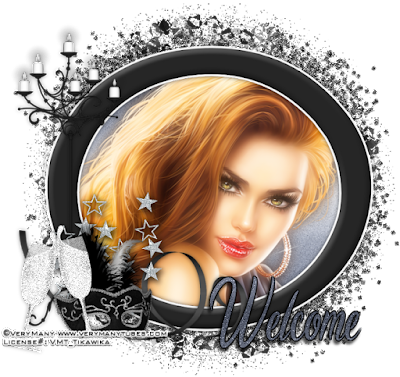 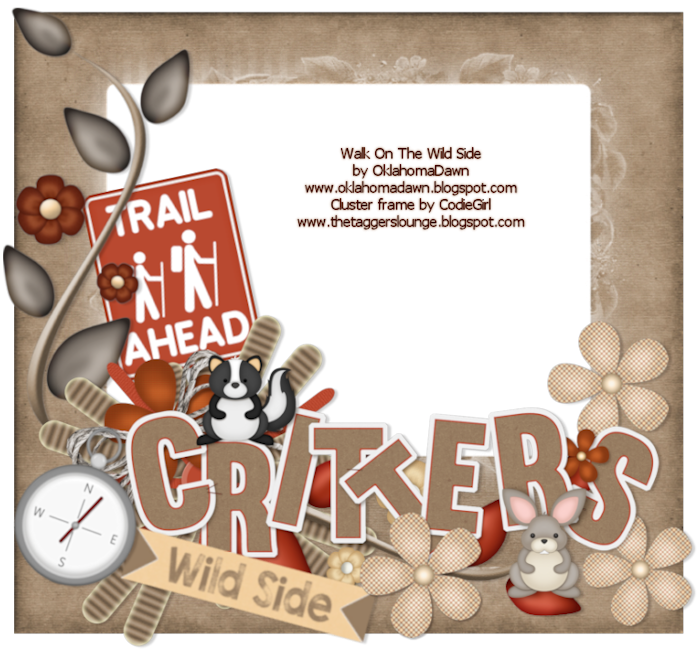 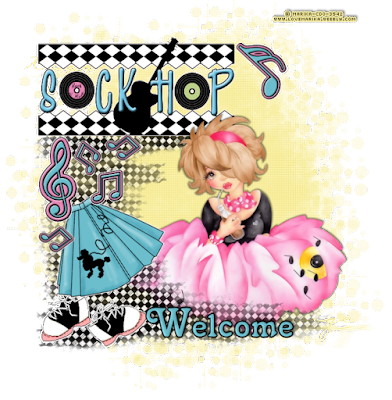 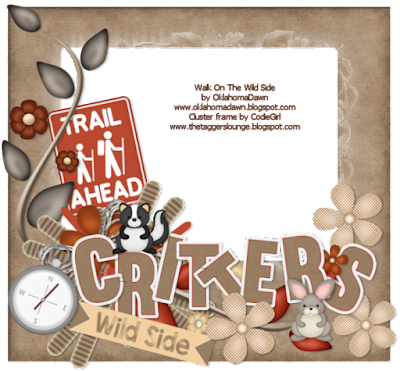 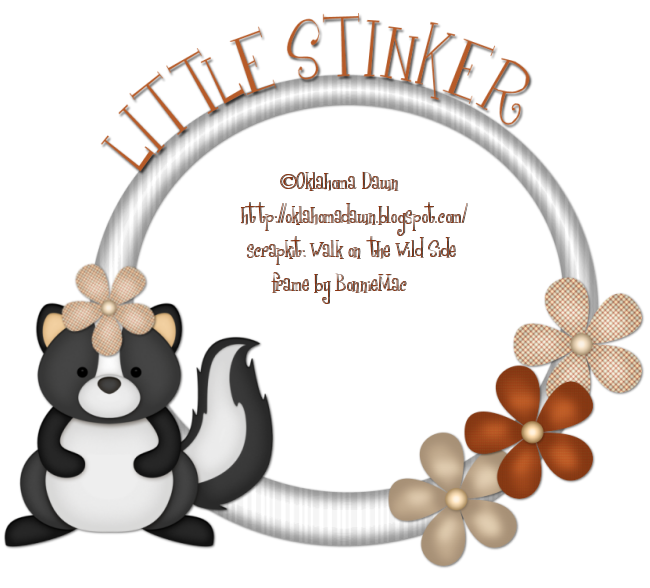 A huge ty to Crys aka Creative Scraps by Crys for creating us this wonderful kit! 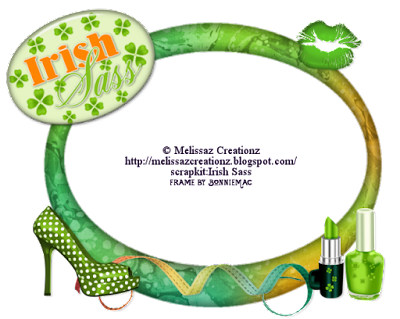 Summer Girl - Match to Ninaste exclusive tube! 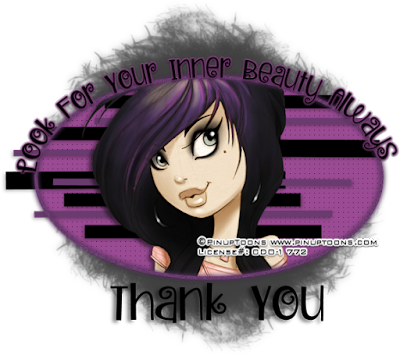 Brunette Girl/Sunset Blvd - Match to Ninaste exclusive tube!